The Elstead Lighting Emery Linear Island Ceiling Light Is A Classic Americana Metal Pendant Which Will Add A Nostalgic Flair To Any Kitchen Island Or Dinner Table. 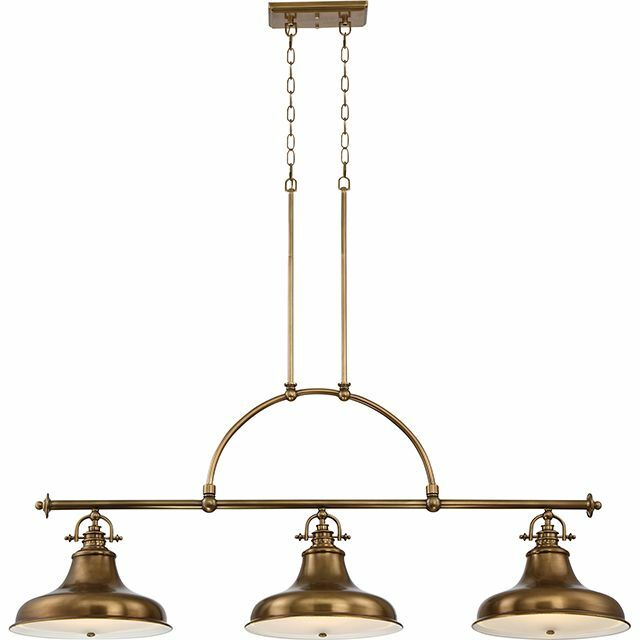 The Emery 3 Light Linear Island Ceiling Pendant From Quoizel Lighting Is In A Weathered Brass Finish. The Emery Island Linear Ceiling Light Pendant Is Also Supplied With Two 150mm Rods, Two 300mm Rods And 351mm Of Extra Chain Should The Light Need To Be Installed With A Longer Drop, To A Maximum Overall Drop Of 1500mm.